Thirty one years ago, Judy Michaud began her career in real estate in the sleepy hamlet of Highlands, North Carolina. She spent countless weeks, months and years honing her craft as one of the two top broker/agents in this bustling arena, working tirelessly for her clients at Signature Properties of Highlands. But deep inside, this willful desire was becoming the dream to have her own real estate firm. She wanted to lead a team of agents that would distinguish themselves by their commitment to the buyers and sellers of the unique properties that seem to abound in this beautiful mountain oasis. 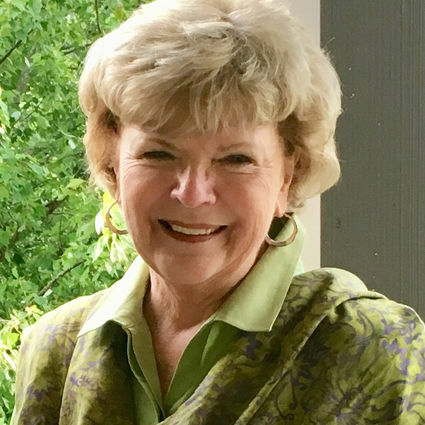 Armed with experience, market savvy and her dream, Judy purchased Meadows Mountain Realty and began to assemble a team of professionals that are the elite core in the Highlands-Cashiers real estate marketplace. A team with one over-riding purpose….Help each client fulfill their dream; whether it’s to sell their home as quickly and effortlessly as possible or to purchase their dream home, second home or mountain get-away here in this mountain paradise. Each individual and their dream is of paramount importance to this illustrious team of professionals, from previewing each property that is listed with Berkshire Hathaway HomeServices Meadows Mountain Realty to contacting each client regularly to update them on current activities. This level of communication provides knowledge and knowledge is power in the ever-changing real estate marketplace. Each agent of this remarkable team is at work for you, knows this community and all its virtuous amenities and is techno-savvy, without losing the warm, personal touch so necessary to make the buying or selling of a home a tranquil, enjoyable experience. In 2015, Judy decided to take her company and her team of expert agents to the next level by affiliating with one of the worlds most respected and trusted companies, Berkshire Hathaway HomeServices. By choosing to work with Berkshire Hathaway HomeServices Meadows Mountain Realty, you know you will receive the highest levels of service and integrity available and you will be working with a market leader in the area. Ginger and Tricia were extremely helpful, knowledgeable and hard working! My husband and I had very specific requests and Mitzi was not only incredibly patient by showing us numerous houses, she also conducted "behind the scenes" research to see if the online property description actually met our needs. Her efforts saved us so much time during our quick weekend house-hunting trips to Highlands. There was never a doubt that she had our best interest at heart, and she helped us find an amazing rental property for our investment portfolio. Over the years, we have purchased numerous homes, both primary and investment, and Mitzi is the most caring, professional and honest agent we have ever worked with. Betty Holt has made this process of putting our house on the market a breeze! She is the ultimate professional, yet gives us her undivided attention and makes us feel as if we are her only clients. Why did we choose Ms. Holt as our agent? She is personable, obviously loves her job, and knows the area and the market better than anyone. We used her when we bought this home 24 years ago and totally trust her to sell it for us. We bought our new home sight unseen. He needed to be our eyes and ears and was amazing. Brooks is very knowledgeable about the area and real estate values. He made our purchase as easy as possible and was always easy to reach and he went out of his way to be there when we couldn't for inspections and other appointments. We would work with no one else. I cannot thank you enough for all you have done for my siblings and me. This was a difficult time for us, living out of town, and trying to sell our father's home after his death. Since the first time I spoke with you, your kindness and professionalism had put me at ease. You have been with us every step. You gave us great advice and always called me right back, even when you were at the beach on vacation. Thank you so much for selling our house so fast and getting the price we wanted!! He nailed it with the first house he showed us. He did spend 2 full days with us showing us at least 15 more houses. Which made us sure we had the right one. Brooks filled us in on the best restaurants, tradesmen and local flavor. We love our new home, realtor and friend. Thanks Brooks! We have done a number of transactions with Judy. She is the most trustworthy and knowledgeable Realtor we have ever dealt with. Her guidance has been invaluable to us in every decision whether we decided to buy or sell. I am so happy having made the decision to turn over the sale of our family's mountain home of 37 years to Lynn. In an otherwise dismal vacation real estate market and the in the middle of Winter, she and her team were able to secure a buyer in 17 days on the market, at almost asking price. Not only that, but we had a second backup contract 2 days later as well! Now granted, it was a very desirable location, and these results may not be typical, but nevertheless I was impressed, as the house needed major repairs and renovation as well. I liked the fact that Lynn did her homework and provided me at our initial meeting both quantitative market analysis as well as qualitative listing expectations. Prior to agreeing to take the listing, she consulted with her associates to establish a realistic asking price. That took 2 weeks because of the Christmas/New Year's holidays. Her valuation (i.e., right selling price) was validated by both the buyer's offer and the ultimate lender's appraisal. She was truly professional in not rushing into the listing - she wanted to make sure I was happy with the price and comfortable with her agency's approach. Once the listing was signed, she coordinated all of the tedious legwork obtaining an accurate property survey (which had never been done) and communicating with the City zoning department to navigate the lot building limitations (which might have been a big negative to a buyer) versus what was grandfathered because of the structure's age. Lynn (and her team) communicated at every stage in the closing process (including an extension because of the lender's delay). I am very happy to recommend Lynn - she is truly outstanding! I have used many realtors over the years both buying and selling, and my experience with Lynn was by far the best. 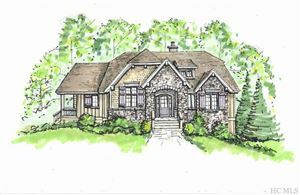 I listed my lot in Highlands, NC with Lynn Kimball and was extremely impressed with her knowledge of the local real estate market. Working together, we came up with a price that was suitable to me and appeared to be in line with what the market was reflecting during mid-2012. Within 90 days I was presented an offer to buy my lot at almost full price. The transaction could not have been any easier and there were no surprises. I would highly recommend Lynn Kimball to handle any of your real estate transactions in the Highlands area of North Carolina.